With the constant updates of AirMore, it has become more and more powerful. Apart from its main function in file transfer and management, it is also empowered with other practical features, such as sending messages, displaying phone information and so on. 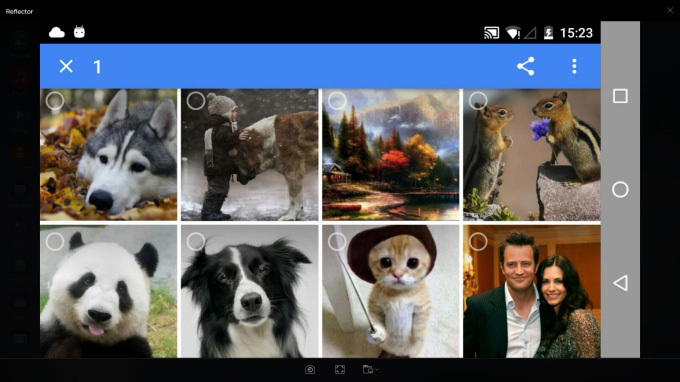 Moreover, this free tool can also stream your Android screen to PC using Reflector function. But do note that this feature requires the system to be no lower than Android 5.0. Click the “Reflector” icon on the webpage. A notification will show up on your Android. Tap “START NOW”. You can skip this step by checking “Don’t show again”. Then you can see your Android screen on the computer. It will display whatever happens on your mobile in real time. As long as your internet condition is good, the streaming can be very fluent. 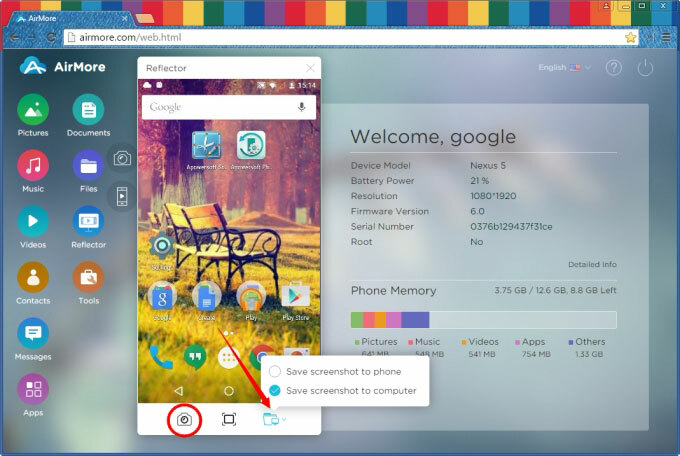 Once your phone screen is reflected on PC, you can take screenshot any time you want. Choose where you would like to save the screenshots by clicking the third icon under the Reflector. Afterwards, just click the camera icon under the Reflector. If you choose to save the screenshots to phone, you will see a window saying “Take screenshot successfully”. And you can find them under the “Screenshot” folder in the Gallery. If you choose to save them to computer, they will be downloaded into the folder you appointed. You are also able to watch your phone in full-screen mode. Just click the second icon under the Reflector. Furthermore, if you rotate your phone, the screen on web will do the same automatically. It gives you a great visual effect when you play games or watch a movie. 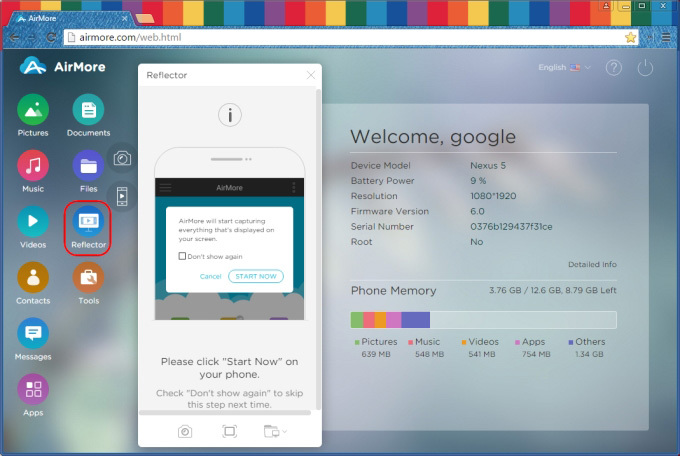 With this Reflector feature, you can get an amazing user experience when using AirMore. How cool it is to wirelessly mirror your Android screen to PC! Have a try by yourself!